It's that time of year again! What time of year? 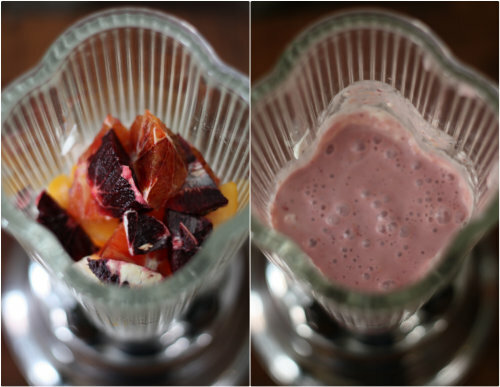 Smoothie season, that is. 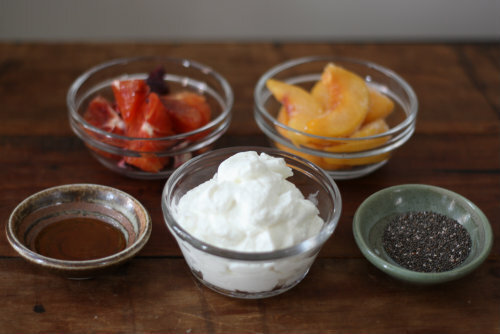 Tim and I love being able to combine seasonal fruits we have on hand this time of year with greek yogurt and other odds and ends we have in the fridge to create a cool refreshing snack (not to mention healthy) in the mornings or on the weekends. 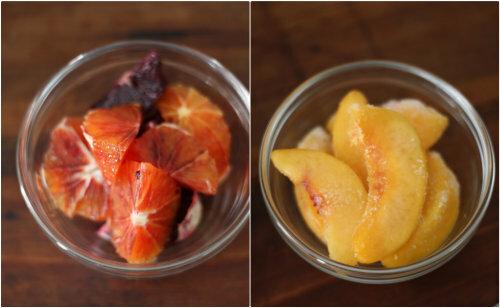 Today we're sharing the recipe for a blood orange, peach and chia seed superfood concoction we whipped up over the weekend after working outside for an extended period. 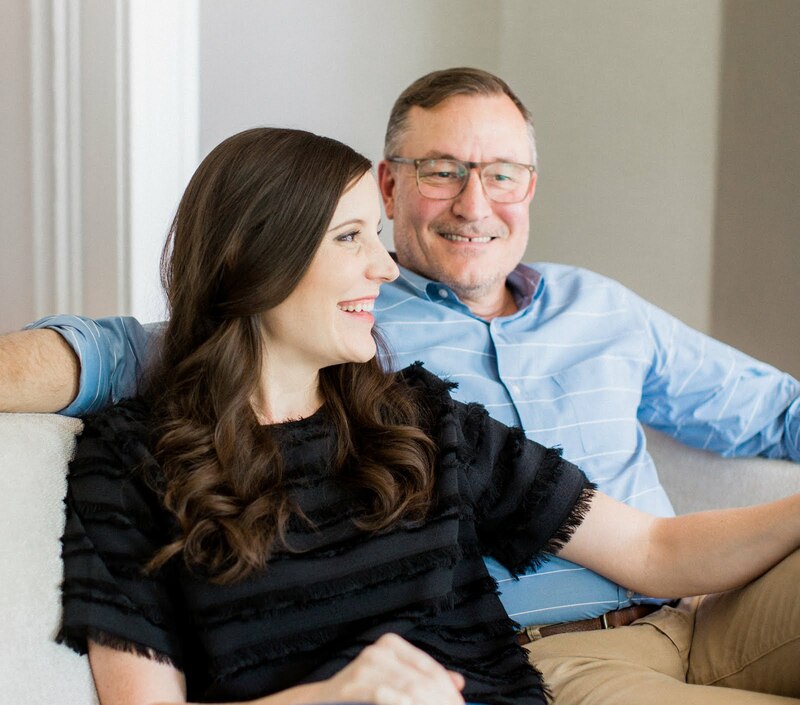 It was the perfect cool treat to sit down and relax with and we like to think it helped restore some of the energy we burned working. 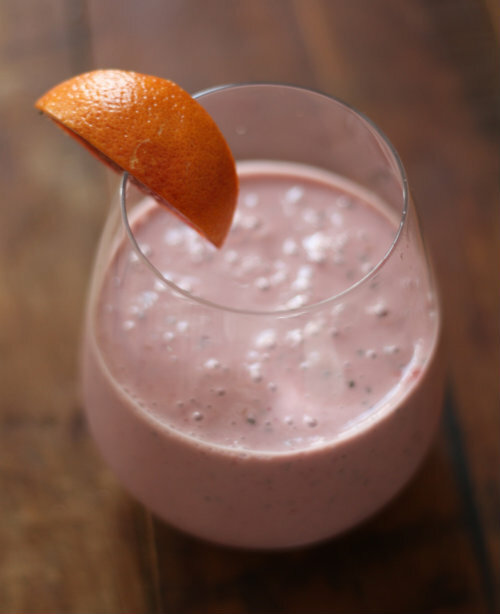 Combine yogurt, blood orange slices, frozen peach slices and honey in blender then mix until blended well. Add your choice of milk, almond milk, soy milk, water or other liquid to tweak the thickness and consistency to your liking. For those unfamiliar, chia seeds are one of those super-foods that act as a great add-in to things like smoothies and oatmeal. 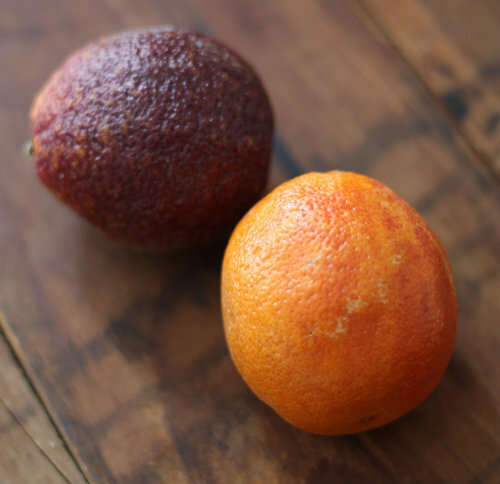 When combined with liquid they form a gelatinous-like consistency and can help thicken your smoothie. 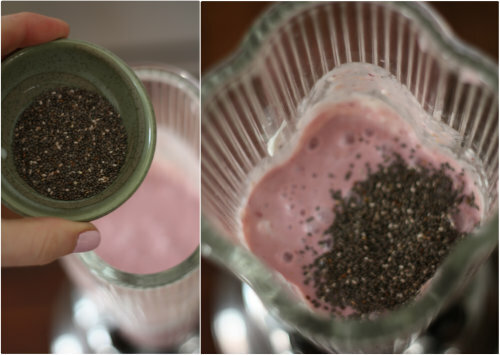 Chia seeds don't really have much of a taste to them, but they are a great source of fiber and omega fatty acid. You can find them in your local grocery store or online. Pour mixture into a clear glass of your choosing and there you have it! 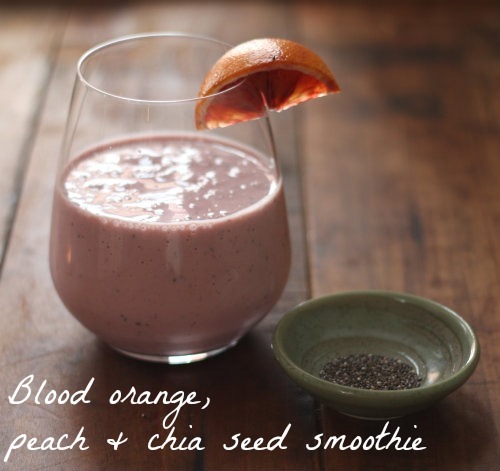 If you're feeling fancy, garnish with a slice of blood orange and sprinkle a few additional chia seeds over the top of the smoothie. Now sit back, relax and enjoy this spring treat packed with natural healthy super-foods and antioxidants — it might just give you that second wind! 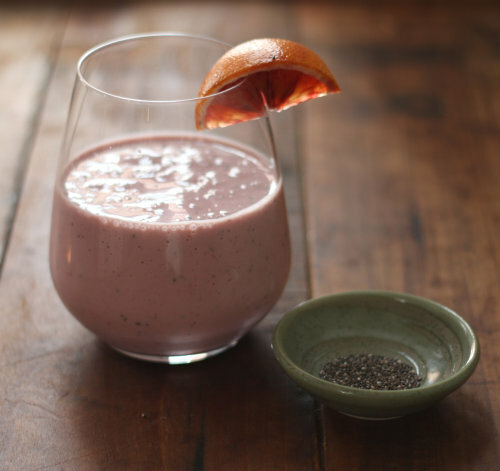 Have you tried chia seeds — what's your take? 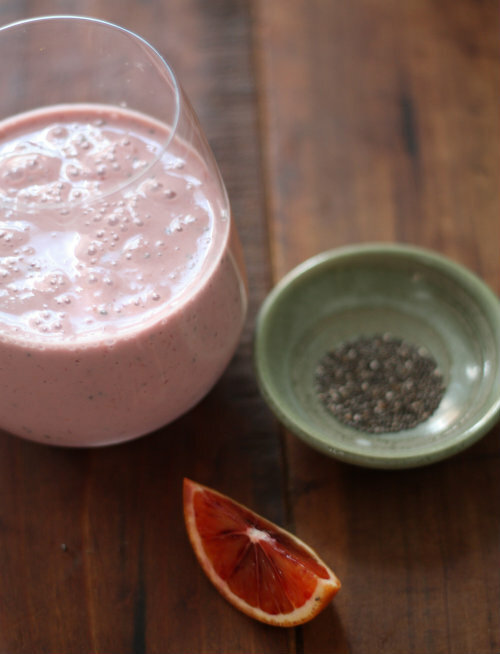 What are your favorite ingredients to mix into smoothies? We're game to try most things and have recipes for a summer fruit blend and a peach pie version already in our repertoire. Mow that summer is around the corner, I can't wait to making more smoothies. This looks like a great one to start with! I'm a big fan of Healthy Warrior's Chia Bars. You can pick them up at Ellwood Thompson. I'm new to using Chia seeds. So far I have used them in my oatmeal. The fruity drinks look delicious and I'm going to add some Chia seeds to my next smoothie. I usually make Strawberry and Pinapple Smoothies with what ever I have on hand.